App stores from several platforms offer wide range of apps that we could use in our daily lives. Of course, there’s always the hunt for a good app in terms of productivity or fitness, however it is always nice to find ourselves entertained with simple games after our very hectic schedules. One title that has been getting an ample attention lately is the Deadly Robots created by Vilaris. The game starts with a premise of uncontrolled robots having taken over a malfunctioned space station. 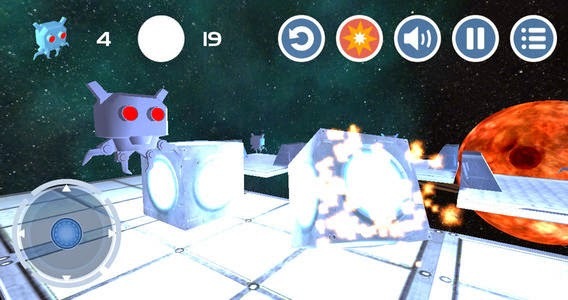 The main purpose of the game is to kill all the robots by double tapping the screen. Basically, robots glide over the abandoned platform and usually find themselves roaming around space station. The game also boasts a 3D art graphics which is a good point in maintaining the user’s interest in the game. Likewise, the deep space setting adds an engaging twist when it comes to user activity. 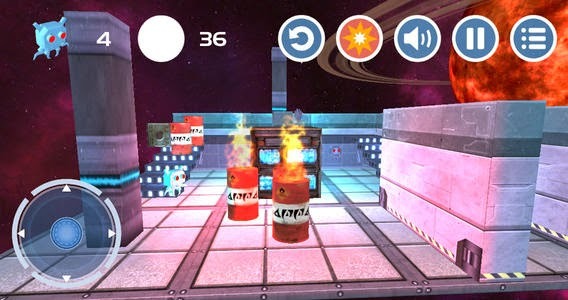 The game is an instant magnet to those who are looking for a challenging yet simple gameplay. The fusion of retro-styled robots and space also makes a good game setting. The recent version only has 100 levels. Every level offers you a maximum of three stars which will vary according to your game performance. You’ll have to accumulate these stars for you to go through some levels that require a definite number of stars. The game starts with minimalist stages that guide you on how to navigate the interface using different on-screen controls. Likewise, as you go along the stage, the level of difficulty rises knowing you’ll have to bust all the robots using your limited weapons. Thus, a little strategy planning will be a good idea. He dark matter laser can also be uses as a bomb to diffuse the robots. Overall, in terms of gameplay, this game offers an action-packed experience with its innate captivating play and lots of tactical flare. The user interface is very fluid. You can tweak screen views using in-app navigators. Finding your way around the app is just a walk in the park. The brilliant sound effects also add to the user engagement of the app. You can use the virtual joystick to have different angled views of the robots (means that you can shoot the robots in different angles and distances). Space setting in expansive 3D mode offers a better gaming experience. Likewise, the fact that there are no in-app purchases or advertisement makes it more favourable to gamers. Kudos also goes to the developers for smooth interface that adds to the effectivity of responsive controls. Plus, the robot graphics are very iconic. For me, the game lacks a little introduction, i.e. a video on how the robots swarm the space station or how they have been created. Aside from that, there’s no point to complain about the game at all. The Deadly Robots only costs USD 0.99 and is worth every cent that you’ll spend. 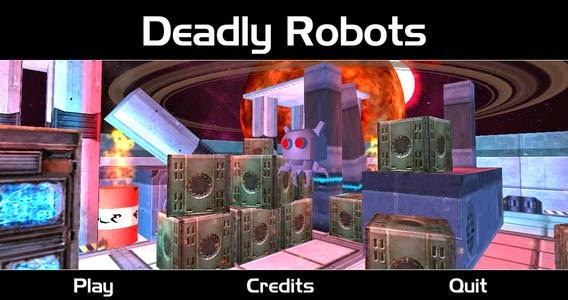 If you’re in the market for an action-packed shooting title with 3D graphics and interesting gameplay, Deadly Robot is for you. It is both available in Apple’s App Store and Google Play Store.